Wow, today’s installment has been a challenge, a real marathon blog to put together. Lots of happenings during this period and many donated photographs have all added to the delay of this blog. Around 35 photographs have been included and will help to guide the story along, In fact, with so many photographs being added, I’m not quite sure if this is a blog or a ‘photo album.’ You can decide at the end? With the 1970’s firmly behind us, To Jamaica and Beyond now begins it’s progression into the 1980’s. Covering some of the worldwide happenings of my relatives and family between the years 1980 – 1987, the blog once again contains stories and recollections coming from Jamaica, the United States and England. The decade of the 1980’s begins with my dad and his eldest brother returning to Jamaica for the first time. Next up, we take a detour away from the family story, to cover the passing away of a dreadlocked Jamaican musical legend. Can anyone guess who I am referring to? Those of a ‘certain age’ should have a good idea, younger readers, maybe not. After that, we then delve further into the family story, where it deals with the blog title ‘The Last Branch’ which tells the story of the final members of the Southfield Hodgson’s to leave Jamaica. In amongst all those stories, there are recollections of the passing away of two of my close family members in England. Moving along, the last part of our historical journey then touches upon Cecil Hodgson’s youngest sister coming from America to visit him at West Bromwich. Look out during this piece for an impromptu musical session! Dad’s eldest brother Valdie Moore Hodgson – who was no longer with his wife Rhema – visited Jamaica for the first time since leaving in the island in 1954. 1965. Jesson Street, West Bromwich. Uncle Valdie & Aunt Rhema at a family wedding. Photograph donated February 2019, by their son, Robert Delainey Hodgson. So after a long absence away from Southfield of 26 years, uncle Valdie went ‘back home’ and stayed with his sister Cisline at her family home, Belle Vue, Southfield. 2004. Belle Vue, Southfield. Uncle Valdie stayed here at Aunt Cissy’s home in 1981. Rob Hodgson Collection. 2004. Belle Vue, Southfield. Aunt Cissy’s home was built 1966, on lands that had originally belonged to her 2nd great-grandmother, Grace McIntosh. It then came into the hands of Dorcas & Inspector Reginald Speid, before Cissy brought or inherited the land from them. Rob Hodgson Collection. Whilst in Jamaica, Valdie also visited his uncle and aunt, Phyllis & Les Hodgson, owners of the old Hodgson home, Southfield pen. After being away from home for twenty-seven years, it was the first time that he had seen them both since leaving Jamaica. His uncle, Les, welcomed him with open arms on the old estate. Les lit up a barbecue for his nephew Valdie, whereby everyone feasted on a roasted pig. It was cooked on the stone barbecue that was positioned in between the old house and the original 18th century kitchen. Overwhelmed and humbled by all the hospitality being shown to him and the way he was being treated, Valdie became upset and began to weep. When asked by Les what the matter was, he replied “I forgot about everyone in Jamaica” probably remembering how happy he had once been there. About 1981. Valdie Hodgson at Lonsdale Road, Smethwick. Photographed by Robert Delainey Hodgson. Before proceeding any further with more family tales, lets skip away from the Southfield Hodgson’s story…. In the middle of this decade, the death occurred of Jamaican born Robert Nesta Marley – better known as Bob Marley, the legendary reggae artist. Bob Marley was born in 1945 at his grandfather’s farm in the northern parish of Saint Ann, Jamaica. His father Norval Sinclair Marley was in fact a white Jamaican, originally from Sussex in England, whose family claimed Syrian-Jewish origins. Norval claimed to have been a captain in the Royal Marines at the time of his marriage to Bob Marley’s mother 18-year-old Cedella Booker, an Afro-Jamaican. His father was at that time employed at that time as a Plantation Overseer. Though raised as a Catholic, Bob Marley became interested in Rastafari beliefs in the 1960’s, when away from his mother’s influence. After returning to Jamaica, Marley formally converted to Rastafari and began to grow his famous dreadlocks. Bob Marley loved to play football (soccer.) In the July of 1977, he was found to have a type of malignant melanoma under the nail of his toe. Contrary to urban legend, this lesion that he developed was not primarily caused by an injury during a football match that year but was instead a symptom of the already-existing cancer that he had. Marley turned down his doctor’s advice to have his toe amputated – which would have hindered his performing career – citing his religious beliefs, and instead, the nail and nail bed were removed and a skin graft was taken from his thigh to cover the area. Despite his illness, he continued touring and was in the process of scheduling a world tour in 1980. The band completed a major tour of Europe, where it played its biggest concert to 100,000 people in Milan. After the tour, Marley went to the United States, where he performed two shows at Madison Square Garden in New York City. Marley’s last concert occurred at the Stanley Theater (now called The Benedum Center For The Performing Arts) in Pittsburgh, Pennsylvania, on 23 September 1980. Just two days earlier he had collapsed during a jogging tour in Central Park, New York and was brought to the hospital where he learned that his cancer had spread to his brain. Shortly afterwards, Marley’s health deteriorated as his cancer had spread throughout his body. Marley sought treatment in Germany at the Bavarian clinic of Josef Issels, where he received an alternative cancer treatment called Issels treatment partly based on avoidance of certain foods, drinks, and other substances. After fighting his cancer without success for eight months Marley boarded a plane for his home in Jamaica. Bob Marley’s Statue at Kingston, Jamaica. During the year of Bob Marley’s death in 1981, my mom and dad got divorced at the end of the year in December. Dad’s brother, Valdie, had already came back from his first visit to Jamaica, then revisited again for the second time. My dad should have been going with his brother to Jamaica but ended up not going. WEST BROMWICH – I had left home sometime before mom and dad parted. It was an emotional time for everyone. After an absence away from Jamaica of twenty-seven years, dad decided to emigrate permanently back to Jamaica for good. A small going-away party was held for him at the Lodge pub in West Bromwich. Myself, my youngest brother Micky and my sister Joan’s partner, Larry Bridge were present. Larry – who is no longer with us – got on very well with our dad. He stood up around the table at the Lodge pub, and gave a nice tribute to him. Larry then asked me and my brother Micky if we wanted to say anything, remarking that we may never see our dad again. We were too upset to speak and were both in tears around the table. Abt 1981. Lonsdale, Road, Smethwick. Dad at his sister-in-law, Rhema’s house having a ‘calypso moment’ some months before he moved back to Jamaica. His nephew, Paul Hodgson (son of his younger brother Clinton) can be seen looking on and smiling. Paul has always remained close to my dad and still spends plenty of time with ‘uncle Rennie’ to this very day. Photographed by Robert Delainey Hodgson. JAMAICA – In the March or April of 1982, dad left England and flew to the country of his birth. On his arrival at Kingston, Jamaica, he was met and greeted by his brother-in-law, Kenworth Powell, the husband of his sister Cissy. Dad had never met his sister’s husband before. Ken drove him the 80 miles or so to their family home at Belle Vue, Southfield, where dad was reunited with his sister, Cissy. He settled at their home. About 1974. Belle Vue, Southfield. Cissy & Ken’s two daughters, Gaye and Heather Powell. Their home can just be seen in the background. Cecil Hodgson collection. About 1979. Belle Vue, Southfield. Gaye Powell? Cecil Hodgson collection. Cissy’s husband Ken didn’t stay very long at Southfield and soon afterwards was to make his way back to the United States, where he was already in the process of establishing a residence for his family in Elizabeth, New Jersey. Dad was now a Jamaican resident at Southfield, but his initial plans to become an electrician in his homeland hadn’t fully materialised, so he soon became unsettled. BIRMINGHAM, ENGLAND – During this year of 1982 whilst dad was in Jamaica, aunt Rhema and uncle Valdie’s eldest child, Valerie May Hodgson died, aged just 25. It was such a tragic loss of life. My dad, who had only been a resident in Jamaica for a few months was in a state of shock when he was informed at Southfield that his young niece had died back in England. 1979 – 1980 Valerie and her mother Rhema. Outside Valerie’s home, Small Heath, Birmingham. Photograph donated by Robert Delainey Hodgson, who had the damaged photo professionally restored. What a brilliant job they did! Recently during the months of February and March, I have been in regular contact with my cousin Robert Delainey Hodgson, who has provided me with some nice recollections about his late sister Valerie. Robert Delainey Hodgson, youngest brother of his late sister Valerie. “She was the eldest of 6 children. I’m the youngest. “Along with her siblings, Valerie used to go to church on a sunday morning religiously! “Valerie enjoyed singing in the church choir with O’Neil and Terry, our two brothers. “Meanwhile . . . me and Janet (2nd oldest sibling and sister) since we were both avid readers, would have fun at home reading our books. “At school, Valerie enjoyed sports and played in the netball team. Physically she was very strong, so much so that, she came first place several times throwing the discus, in school competitions locally, and as far afield as London. 1971. Valerie’s discus certificate was donated by Robert Delainey Hodgson. Incidently, had she threw that distance of 87 feet in the 1920’s, she would have qualified for the 1928 summer Olympic finals in Amsterdam. If she had been professionally coached, maybe she could have won gold in the Olympic’s. Who knows? “One of her first jobs after leaving school was working at Chances glass factory in Smethwick. “She was ambitious and bought her own house, and intended to progress further in her nursing career. “We were very close; I used to visit her at her house in Birmingham regularly. We were very close. “O’Neil and Terry spent a lot of time with Valerie and got on really well with her too. “I remember at that time Janet was living in London, working hard. She’d moved there for better career opportunities and, typically excelled in every job she had. I sometimes used to go and spend time with her too. 1979. Aunt Rhema, with two of her daughters, Jackie and Valerie in Jamaica. Photograph donated by Robert Delainey Hodgson. “In Southfield, she and Jackie were reunited with our maternal grandmother, Leomie Clarke. “Valerie and Jackie also saw other family members at Southfield, such as daddy’s sister, Aunt Cissie (Powell), who they met for the first time. “I remember Valerie telling me she’d had a wonderful time in Jamaica, Jackie did too. I can never forget, for a while (to remind her of Jamaica) instead of switching on the light in her room, she’d light candles. 1979. Valerie visited Aunt Cissy at her Belle Vue, Southfield home. Photograph donated by Robert Delainey Hodgson. “Valerie was kind-hearted, always helpful, and had a warm friendly personality. “My sister adored our mother and father, Rhema and Valdie, and they thought the world of her too. “She also got on really well with Bertie, our mum’s partner. “Good advice was always given by my sister, such as “Be careful which friends you choose because some people are not always genuine”. “In 1980, Valerie was so happy, and felt fulfilled when she had her daughter Donna, on Christmas day. “She was overjoyed to be a mother, and always wanted the best for Donna and, like any loving parent would do anything to protect her. “I can proudly say that Valerie was such a delightful sister, mother and daughter, that she is greatly missed. “Valerie (just like Janet, O’Neil and our father Valdie) will never be forgotten. “The four of them were awesome champions! They would not be swayed from their goals and each of them had an incredible fighting spirit. “They were, and always will be a source of inspiration and strength. Christmas day 1981. Lonsdale Road, Smethwick. Valerie and her daughter Donna. Photographed by Robert Delainey Hodgson. Mid 1980’s. Lonsdale Road, Smethwick. Valerie’s daughter, Donna was raised by Valerie’s mother Rhema and the rest of the family. Shown in Aunt Rhema’s back garden, wearing her uncle Robert’s cricket sun hat. Photographed by Robert Delainey Hodgson. WEST BROMWICH – After living at Southfield, Jamaica for 11 months & 2 weeks, dad moved back to England. He came to visit us all at our West Bromwich home. I photographed this happy occasion by which dad was reunited with everybody. He saw again his eldest grandchild, Steven, and for the very first time, he met his three newborn grandchildren, Lisa, Leanne, and Lee who had all been born during his stay in Jamaica. He looked happy to be back! 1983. Shaftesbury Gardens, West Bromwich. Lovely photo of my sisters Joan and Sandra on the two ends. In the middle is dad and his daughter in law, Debbie holding my brother Vern’s daughter, Leanne. Rob Hodgson collection. 1983. Me with my hands full holding Vern’s son, Steven and my daughter Lisa. My eldest sister Joan holding her son, Lee. Dad standing proudly on the end. Rob Hodgson collection. 1983. Tantany Lane, West Bromwich. A beautiful photo outside our family home. Mom and my first-born daughter Lisa. I love this photo. My mom now suffers from dementia. Rob Hodgson collection. 1983. Dad met my ‘happy’ daughter Lisa for the very first time. Rob Hodgson collection. WEST BROMWICH – This was the year that uncle Cecil & aunt Helen came to my wedding. I only discovered two months ago, that Cecil was suffering from prostate cancer at the time of my wedding. I never knew. Dad’s brother Valdie, had also contracted cancer about this time. 1983. Garden of Remembrance, West Bromwich. Our wedding photographs were taken by a photographer friend of mine that I used to work with. Rob Hodgson collection. NEW JERSEY, UNITED STATES. In 1985, Aunt Cissy and her youngest daughter, Heather, left Southfield, Jamaica and emigrated by flying to the United States, settling at Elizabeth, New Jersey, at the home that her husband Ken had now established. Cissy & Ken’s eldest daughter, Gaye, had remained in Jamaica to finish her studies. She then moved to New Jersey with her parents and sister, Heather. So that was it, the last Southfield Hodgson branch had left Jamaica. Although Les & Phyllis Hodgson of Southfield Pen, remained and also had a son – Ralph – who stayed in Jamaica, It is Cissy’s daughter, Gaye who holds the ‘distinction’ of being the last ever member of the ‘Southfield Hodgson’s’ to leave the Caribbean island of Jamaica! About 1986. New Jersey, America? ‘The Last Branch’ Cissy and her two daughters, Heather and Gaye. Cecil Hodgson collection. Their son Ralph Hodgson (known as Billy) remained in Jamaica and went on to have children. It is said that they moved away from Southfield and are present in Jamaica today. Jackie Collins née Hodgson. Daughter of Aunt Rhema and uncle Valdie. Photograph supplied by Jackie Collins. About 1981. A lovely photo of uncle Valdie and his son-in-law Selvin Collins. Photographed by Robert Delainey Hodgson. LONDON, ENGLAND: After being back from Jamaica for 4 years, my dad Renford was now well settled in England at the capital, London. Cecil’s youngest sibling, Hortense Parris of New York, came to visit him in England. She stayed in London at the world-famous, Savoy Hotel with her son Roger’s wife, Judith Parris and grandson, Andre Parris. 1981. America. Hortense at the wedding of her daughter Laverne Parris. Elinor Regina Samuel’s née Hodgson collection. 1992 America. Hortense’s son Roger Parris with his wife Judy and their son and daughter, Andre Parris and Michelle Parris. Elinor Regina Samuel’s née Hodgson collection. Dad recently informed me about the day he met Aunt Hortense in central London. Aunt Hortense and her family stayed at the world-famous Savoy Hotel in 1987. JESSON STREET, WEST BROMWICH – From what I can remember about that evening at uncle Cecil’s house when his sister Hortense and her family visited, the relatives present were Cecil, Helen, myself, wife and daughter, dad and my eldest brother Vern were also there too. I’m sure there were more. If I have forgotten anyone, I do apologise for having such a bad memory! This was the first time I had ever met aunt Hortense, I’m sure that I must have spoken to her but can’t recall too much about the occasion. I do remember seeing the usual array of family photos displayed and hanging on the walls in the front room, including one of my very favourites that had often caught my eye, an iconic hand tinted colour image of Cecil’s wife Helen, who was a now a retired State Registered Nurse at Saint Margaret’s Hospital, Great Barr, Birmingham. I always noticed this nice photo. About 1960-1970. Helen Hodgson. This lovely portrait had adorned the walls of Cecil & Helen’s West Bromwich home for as far back as my mind could remember. It then later adorned the walls of their Southfield home before it came into my possession in 2004. Cecil Hodgson Collection. When I arrived at Jesson Street, West Bromwich, with my wife and daughter, the small front room was packed with relatives, including aunt Hortense’s party. I recall uncle Cecil – a keen guitarist – handing his acoustic guitar to my brother Vern, forcefully ‘encouraging’ him to play us all a tune. He didn’t refuse his great-uncles offer. I’m sure Cecil’s sister Hortense and her family would have enjoyed the occasion. Thinking back now, I believe that evening was to be the very last time that I ever visited aunt Helen & uncle Cecil’s memorable West Bromwich home…. 1970-1980’s. Jesson Street, West Bromwich. In 1987 Uncle Cecil handed his guitar to my brother to play a tune. Cecil Hodgson collection. At this timeframe in my life 1987, I was 26 years old. My knowledge of the Hodgson families history was blank. I knew absolutely nothing, nil, zero! I suppose immaturity, no interest in the past, my dad living in London, my love of playing football (soccer) and a busy family lifestyle all contributed towards preventing me from asking searching family questions. Oh yes, and don’t forget, there was no World Wide Web to look things up in those days. I knew nothing. Didn’t even know that Cecil had any sisters or brothers. However, all that lack of family knowledge, would slowly begin to unravel and systematically unwind, after I telephoned Cecil’s sister, Hortense twelve years after she came to West Bromwich that year in 1987. And oh boy, did our family history begin to unravel after I spoke to her…. In 1987, I believe this was the first time that Aunt Hortense had ever come over to England to visit her brother. During her one day visit, Cecil – who was the family historian of the ‘West Bromwich Hodgson’s – apparently showed Hortense and her family all the old family wills and documents that he had gathered in his collection since being in England. I did not witness this happening. Those two places, River Thames & Maryland, Scotland have frustratingly remained an unsolved mystery to me for 20 years, although I may now have a ‘good hunch’ what one of them might refer to. They will be discussed again at a relevent time. Yes, it was an old hardwood trunk, he brought back from America when he went there in the 50’s. It had fancy hinges and a fancy lock and was about 3 feet long, 14 inches high. I think it’s colour was blue. With very strong determination, and my quest to leave no stone unturned, I would desperately go in search of ‘Cecil’s trunk’ twenty seven years after aunt Hortense first saw it that day at Jesson Street. The outcome of that investigation, didn’t end up the way that I expected it to! Read more about this mysterious trunk in a future blog…. Cecil’s trunk was very similar to this one. What was inside it? Well, it’s been a very long time. I have been researching and working extremely hard on not only one, but two blogs for the last few months, so get ready for the arrival of the next blog which is a very special one and should be coming out quite soon. Anyway, back to this latest one first…. Another challenging and thought-provoking blog. I have really enjoyed the research, telephone conversations, donations of photographs from relatives and the putting together of this blog. Thank you to everyone who has contributed. Bravo. Valdie and dad in Jamaica. The two Hodgson brothers each left it nearly thirty years before they went back to Jamaica. Why would they leave it so long you might ask. Well they both began a new lives in England, growing their families up etc, but how could they forget about the place of their births. Because of their break-ups and with their children now reaching adulthood, that was it, their thoughts naturally turned to their homeland. I know that my dad found it really difficult to adapt back into the Jamaican culture and life. He was too far from his children. England was now his home. Bob Marley. Another Jamaican who was internationally known and recognised by everyone. Although I was more of a rigid soul & funk music lover in the 1980’s, when I listen to Bob Marley’s records now, I so much appreciate him more now than I ever did all those years ago. Jamaica is so lucky to have such a musical legend in their history. His legacy and music will certainly live on. Valerie. My cousin Valerie was four or five years older than me, therefore I never really got the chance to know her properly before she passed away. It has been so good to learn more about her life and to hear all the stories told to me by her brother Robert. Also, it has been brilliant, to see for the very first time, all those donated photographs. Cissy & family. I only found out at the beginning of this year that Aunt Cissy’s branch were the last to leave Southfield. This information came by way of my dad phoning his sister and passing the information on to me. My family history journey just never stops giving, there is always something new to be discovered. I love the featured header image of aunt Cissy and her family established in America in later years. That photo came to me by donation from my late cousin, Elinor’s brilliant album collection. Nice photo too of aunt Cissy and her niece Valerie at Southfield. Valdie’s death. I remember uncle Valdie being cared for by his son Terry. I went to see him in his final days at Terry’s West Bromwich flat in 1986. Seeing my cousin Terry trying to cope with looking after his dad during his terminal illness was a sobering experience for me. It was something that I never forgot. Hortense at West Bromwich. I can’t remember ever seeing any photographs of my great aunt’s visit, I would like to think that a family member would have taken some? Incidently, her son Roger Parris, just last year kindly offered help of financial assistance, if needed to run this blog. I will certainly keep that offer in mind in the future Roger! Cecil’s Trunk. Cecil gave accommodation to many lodgers in his home. He would sometimes keep out the way of his lodgers and spend a lot of time in his bedroom. As a small children, we would sometimes sit in their room. Although very young, I never noticed Cecil’s American trunk with the fancy hinges, but who knows, I might have mischievously sat or stood on it. It would be lovely to turn back the hands of time and ask him about that historic trunk. Musical session. The 1980’s decade encapsulated a great mixture of music genre in one way or another. Reggae, ‘Calypso dancing’ guitars and even a touch of Elvis rock & roll thrown in during today’s blog. What a great combination! Let’s now end this blog with our great British weather…. Feeling hot hot hot! Here in England we have just a few months ago experienced a very strange hot climate for the usually bitterly freezing cold month of February. I doubt that we will ever forget the ‘Hot summer of winter February 2019.’ that we had. It was glorious! Whilst I was typing those words above in February, we hadn’t yet had a real winter. I kept my fingers crossed that winter had been officially cancelled, but I still, however kept my warm coat at the ready. It was too good to be true. Our natural winter weather hadn’t been cancelled like I thought. It did arrive and it arrived with a vengeance. March 12th was a bitterly cold and rainy day, not the best day to celebrate the 30th anniversary of the world-wide web. A question for you all. Has English scientist, Tim Berners-Lee’s incredible World Wide Web invention been good for us or bad? For family historians, it has been absolutely amazing. But what do you think? Let’s have a democratic vote on the poll at the bottom of this page. Your decision will be final…. erm or maybe it won’t! Or maybe we could run a second vote just to make sure? You decide. Should we remain on the world-wide web or leave? A weather update. Sunday 17th March, we were hit by cold snowy weather. I always knew that the warm weather of February was too good to be true. I think I got too carried away, don’t forget, we are in England you know. It’s a good job I kept that warm coat on standby! 1979. A beautiful warm photograph of my cousin Valerie in the back garden of her Birmingham home. Donated by Robert Delainey Hodgson. About 1981. Lonsdale Road, Smethwick. Nice photo of Uncle Valdie strumming his son, Terry’s guitar. Photographed by Robert Delainey Hodgson. Big thanks go out to my two cousins, Jackie and Robert for their well written tributes contributed towards this blog. For a warm chilled out ride of our 1980’s family blog, hit the play button on the youtube music player below to listen to a classic Bob Marley song. 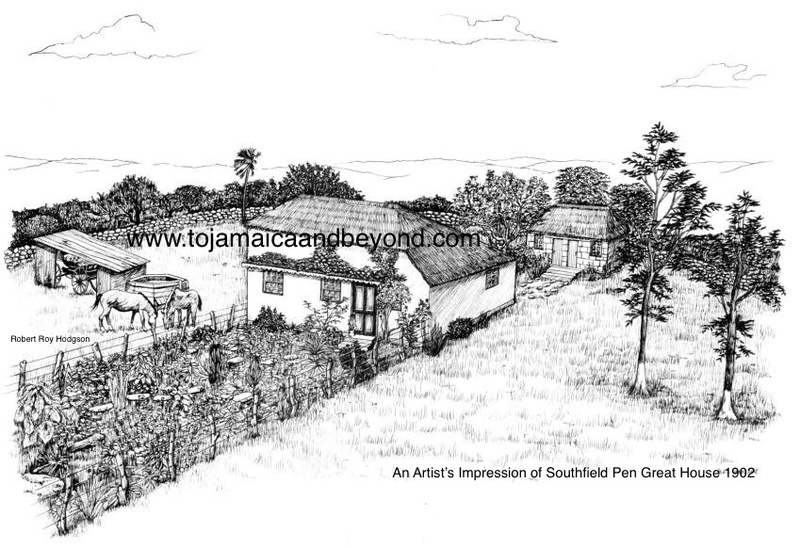 As soon as you hit the play button, quickly page back up to the very beginning of the blog and slowly scroll down, as you listen to the Jamaican legend singing, and view again the ‘Photo Album’ of the Southfield Hodgson’s story so far. Thanks for reading To Jamaica and Beyond! See you again real soon. The wait was worth it. The account comes alive with all the details. I felt I was present at the events. Thanks for sharing parts of your family history. Keep up the good work.